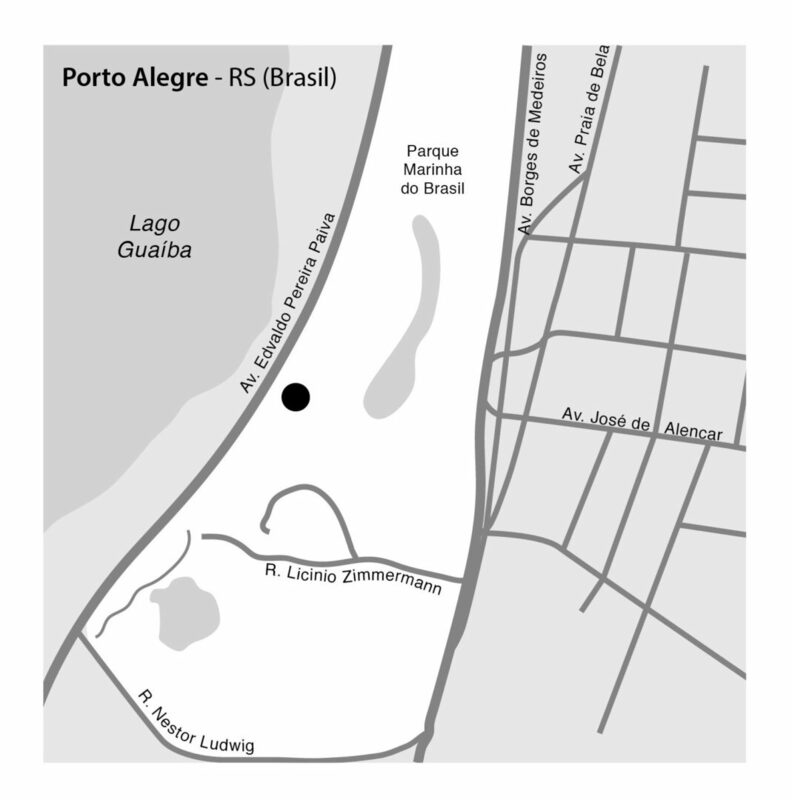 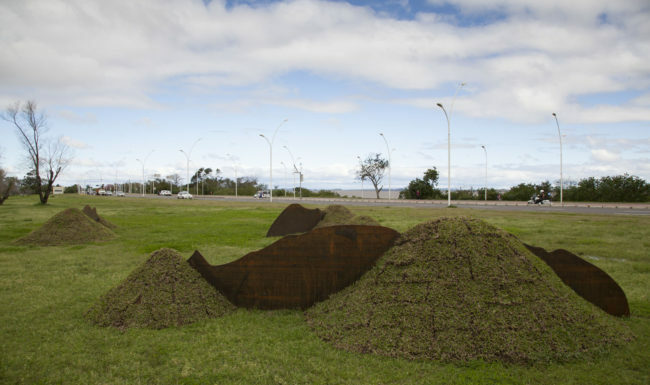 Three hills of Porto Alegre (in southern Brazil) are drawn and cutout in still plaques. 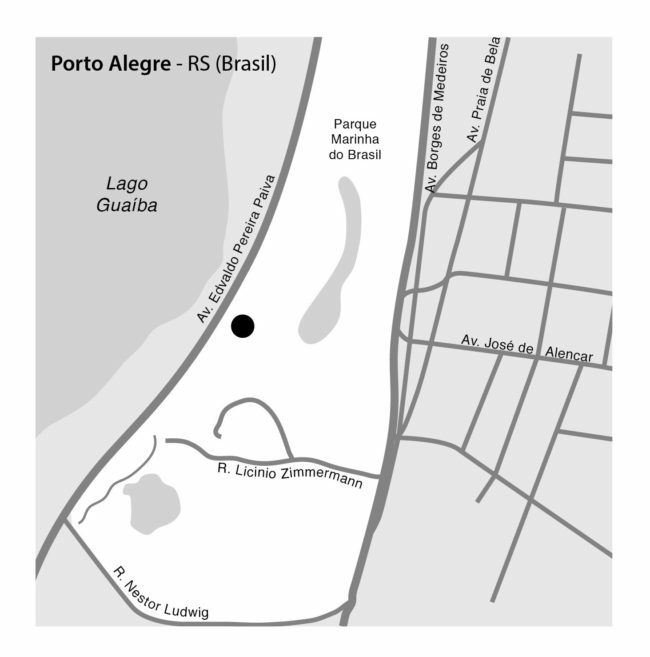 It is a sort of fictional creation of the city elements since its landscape is somehow invisible for the inhabitants of Porto Alegre. 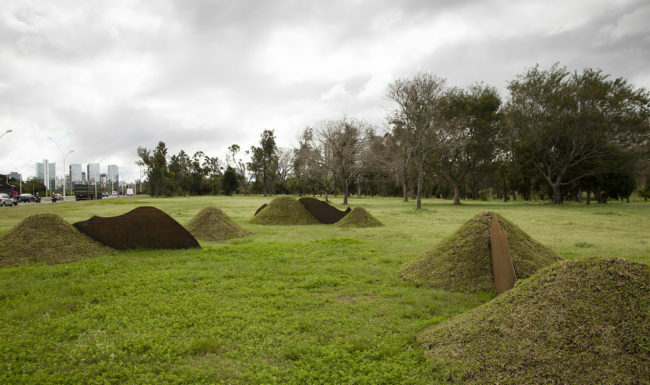 Together with the three still plaques were built six artificial mounts in the public environment of Parque da Marinha. 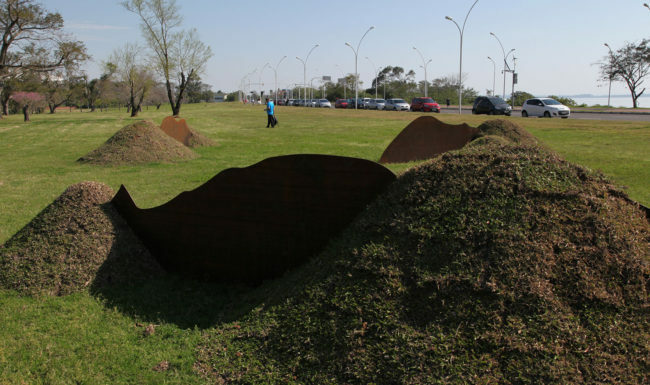 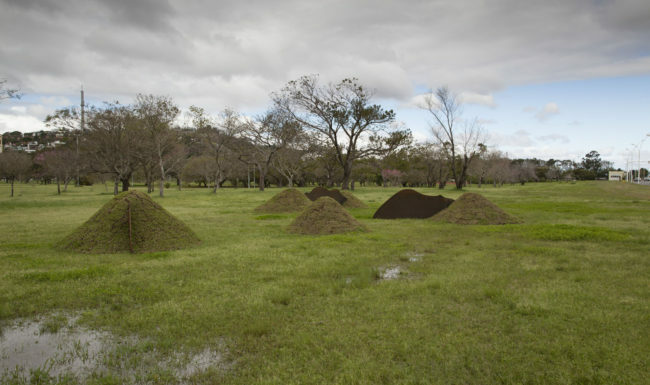 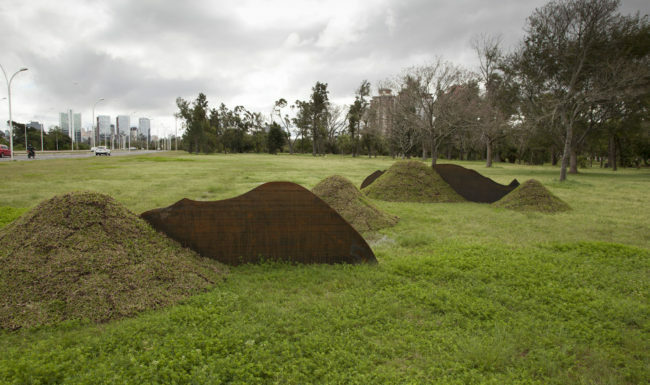 The urban installation draws attention to the very invisibility of this landscape. 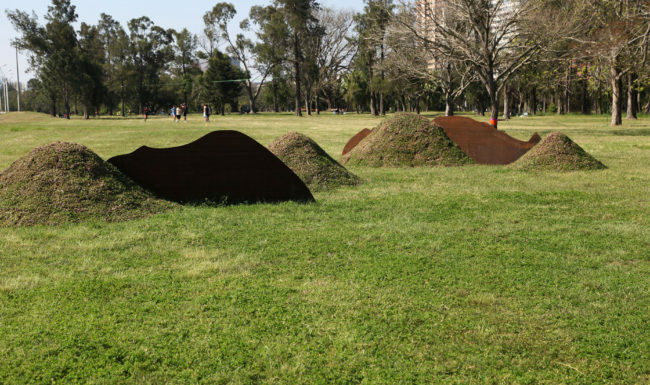 A new topography is created with six constructed hills, altering the terrain of the park. 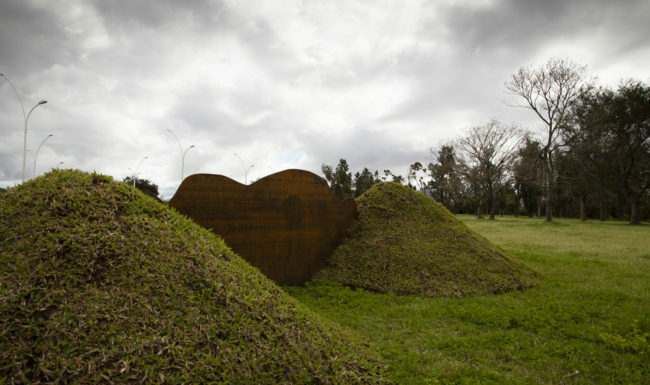 Beyond the artificial reconstruction of the natural landscape, the cutout plaques traverse and cross the artificial hills. 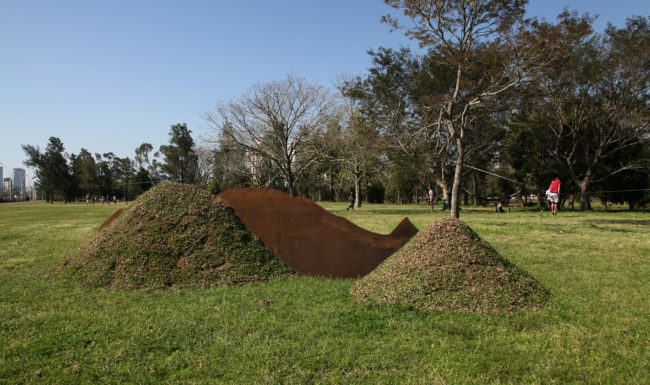 Three hills was conceived for a specific place, although it approaches the representation of the natural landscape in a broader sense. 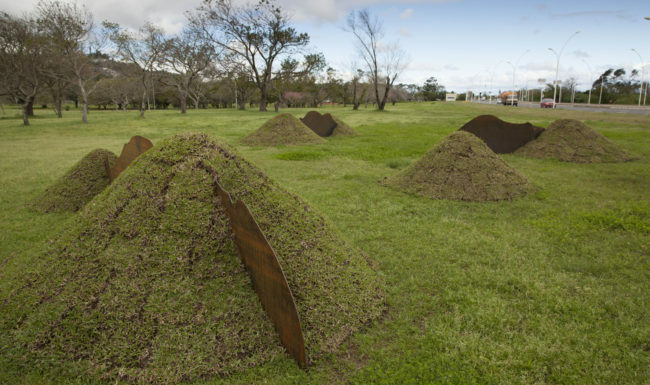 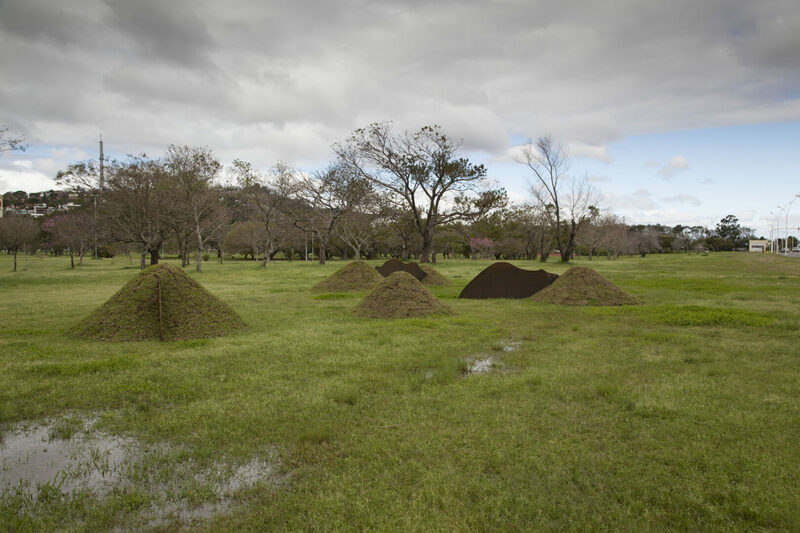 To construct an artificial landscape based on the depiction of an existing place highlights the impossibility of representation. 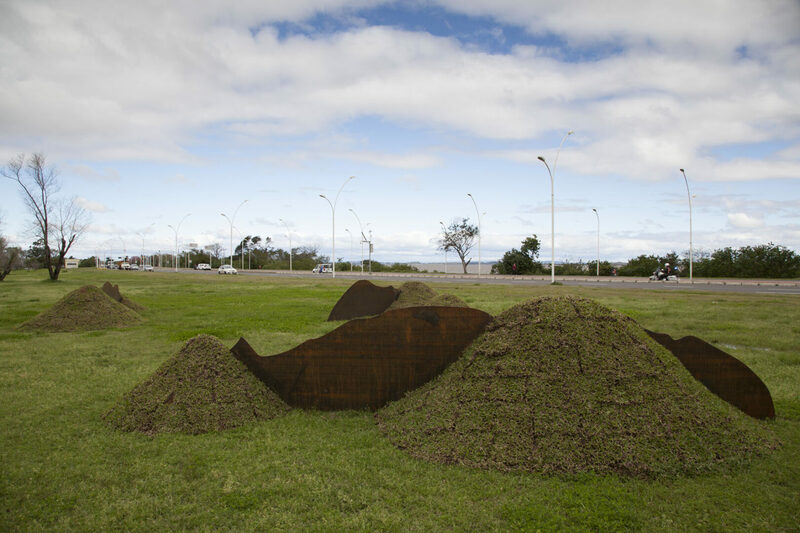 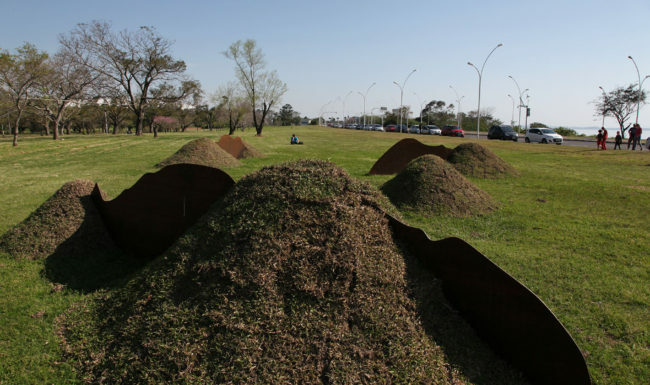 The project Three Hills (Três Morros) was granted by Prêmio Arte Monumento Brasil2016 (FUNARTE and Ministério da Cultura) and was realized with the support of Prefeitura de Porto Alegre.